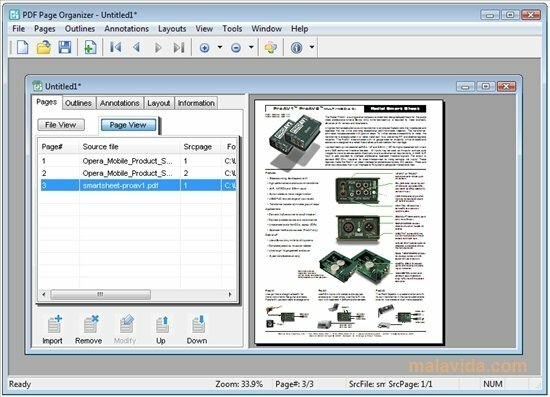 Foxit PDF Page Organizer is the perfect complement for the majority of PDF readers and editors, because it will allow you to design a projects using several different PDF files. PDF files have become a kind of document that is widely spread in all kind of environments, from the publication manuals, to the presentation of university projects. 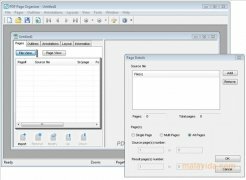 The program that has a very simple interface, will help us to form by means of various PDF files in a single file, that results ideal to gather the chapters of a book, all the manuals that you usually use or the notes of a full year. It's a tool that is very simple to use, because once you've imported the documents that have to be compacted, you only have to assign them an order and wait for the application to do the rest. 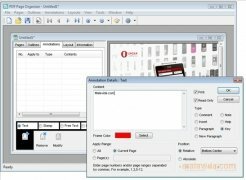 If you want a utility that allows you to join several PDF files into one, try out Foxit PDF Page Organizer as soon as possible. This download requires a ZIP compatible compressor. The trial version has certain limitations.